We are here to make your Southwest Florida vacation the best time of year. A perfect vacation stands and falls with the right accommodations. If you expect more from Southwest Florida than all-inclusive vacations or small hotel rooms, you should consider renting a vacation home or condo. At Wischis Florida Home you can choose from over 50 different condos and vacation homes with pools, for occupancy of up to 8 people. 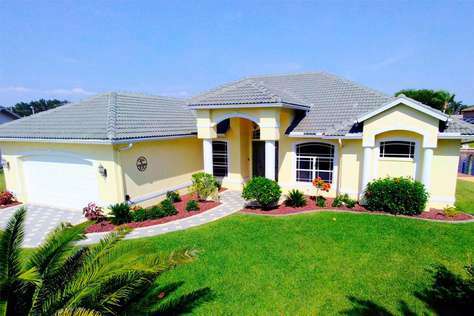 It’s easy to rent a great vacation home with Wischis Florida Home. 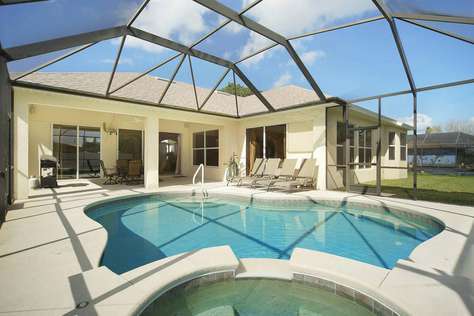 Our luxurious rental homes with pools are spread out all over Southwest Florida. 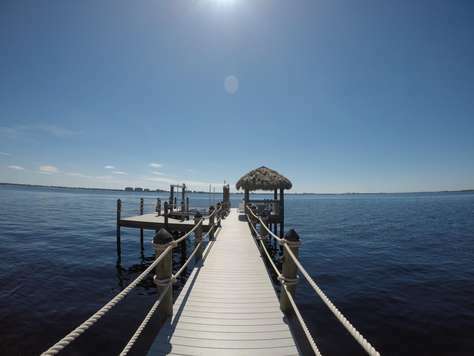 Want to be in Cape Coral, Fort Myers or Fort Myers Beach? How about Bonita Springs or Naples? You decide, we’ve got you covered. Each vacation home at Wischis Florida Home is beautifully furnished and decorated, with modern amenities to meet the highest standards. Enjoy WiFi, Air Conditioning, TV’s, Pool, a BBQ grill, beautiful landscaping and most importantly: lots of space. Our promise to you: clean and well cared for vacation homes. We want our guests to experience the cleanest homes in Southwest Florida and remember their vacations for a long time to come. We strive for this daily! Our team of dedicated employees keep our properties in great condition. We clean, wash, repair, mow the lawn, take care of the flowers, keep the pool sparkling, scrub the grill and ensure hygiene in the fridge and ice maker. In a nutshell, we go out of our way to make sure you have the great vacation you deserve. All of that at a great price-performance ratio. That’s the Wischis Florida Way of Life! 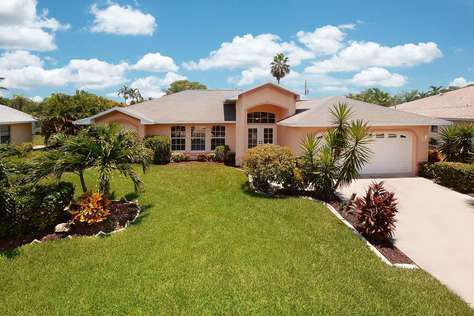 Your Advantages in Renting a Wischis Florida Home. We are passionate about making sure you have an unforgettable vacation. Do you have questions or need help? No problem! We are always available to meet with you in person at our office in Cape Coral. Our employees are fluent in English and German. Stop by any time or give us a call. Cherish the moment and relax - you are on vacation. 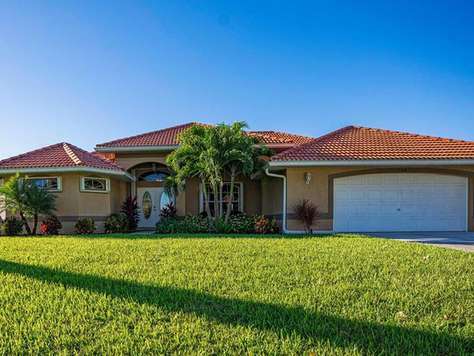 The Wischis Florida Home - Ocean Pearl is a luxurious, and very spacious vacation home in the Palaco Grande neighborhood in Southeast Cape Coral. The large patio surrounds a pool with spa. It provides plenty of space for fun in the Florida sun, as well as a beautiful view over the broad canal and will leave no wish unanswered. Within 5 minutes you can reach the river by boat, and from there it is not far to the white-sand beaches of Sanibel Island and Fort Myers Beach. On 2900 sqft. you will find 4 bedrooms, 3 bathrooms and a comfortable living area. The living room is spacious and equipped with a large-screen television, DVD-player and stereo. Of course you have free high-speed internet access. The four bedrooms and three bathrooms are stocked with enough bed linens and towels. The kitchen is fully equipped with new appliances. The Ocean Pearl holds ready many pretty places for breakfast, lunch and dinner: The large dinner table, the breakfast-bar or the patio. Reserve enough room in your luggage: great shopping opportunities such as outlet malls are close by. 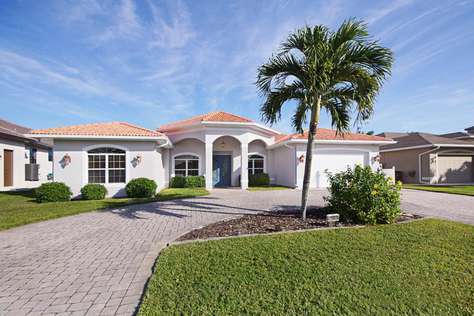 The Paradise Dream is a luxurious and very spacious vacation house centrally located in Cape Coral, Florida. 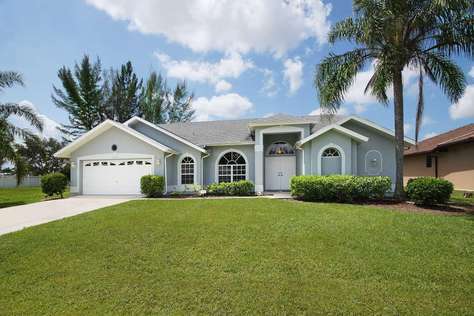 The vacation home is only a short drive from the beaches of Sanibel Island and Fort Myers Beach and is also within a few minutes driving distance of shopping opportunities as well as the Cape Coral bridge towards Fort Myers for countless activities. The large patio with inifinity pool, and beautiful view over the broad canal provides plenty of space for fun in the Florida sun and will leave no wish unanswered. The Paradise Island is located on a beautiful canal. 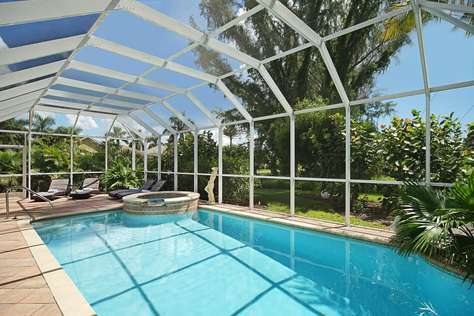 The home has a large pool deck, lanai, heated pool and invites you to spend many, happy, fun hours outside. 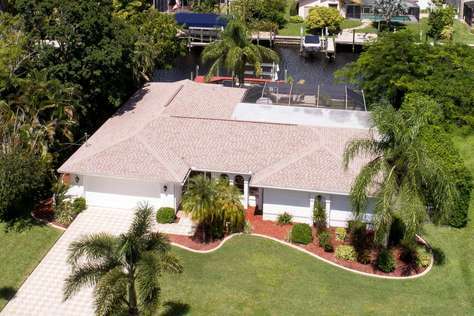 As boating is a big part of the Florida Lifestyle this vacation home in Cape Coral is perfect for boaters as well, since it has a grand boat dock. Inside the home you will find everything and more that you might need for a perfect vacation. 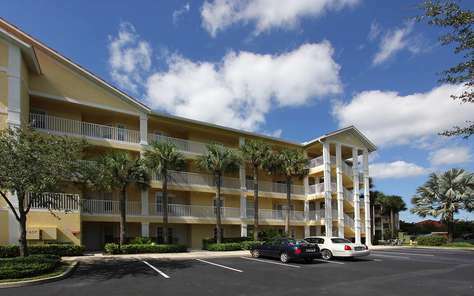 Florida furnishing, TV’s in all bedrooms as well as very large screen TV in the living room, and a large kitchen. A split floor plan gives you plenty of privacy but also enough space if you are traveling with family and friends. You can cook if you like, bbq a nice steak or some delicious, fresh seafood on the grill or let one of the many surrounding restaurants spoil you during your stay. It’s quiet location lets you take evening walks or morning jogs and you will meet and greet many local neighbors. Located on one Cape Corals many canals, the Summer Wind is a vacation dream come true. A split floor plan gives you plenty of privacy but also enough space if you are traveling with family and friends.The interior of the vaction home offers everything you might possibly need. All linen and dishes are provided, large and small appliances are available for your convenience. You can cook if you like, bbq a nice steak or some delicious, fresh seafood on the grill or let one of the many surrounding restaurants spoil you during your stay. 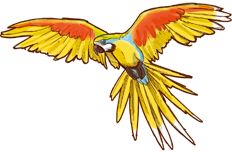 Within walking distance of Tarpon Point Marina there are many different adventures you can take. Or you can just stay at your vacation home, have fun in the pool, relax in the spa and let the tropical landscaping lull you away from all your troubles. Spacious bedrooms, a lovely living area with a big screen TV, a big dining table for you and your co-travelers and a modern kitchen. Step outside and be amazed at the size of the pool and the fun you’re about to have either splashing and playing, or sitting and relaxing in the pool. 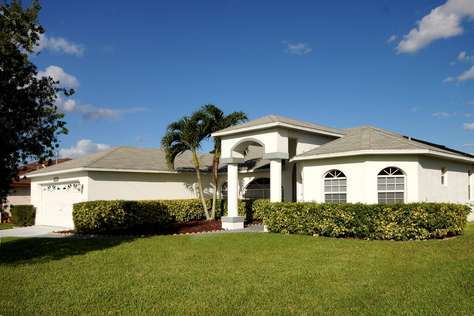 You will be happy you chose to vacation in Cape Coral and with Wischis Florida Vacation Home. If you are a boater you do have gulf access from this location and the possibility to dock your boat right behind the house. You can watch the fish jump, the birds fly overhead or simply listen to the sounds of the waves as you are catching some sun in your screened in lanai. Newly renovated in 2018 this home has it all. Spacious bedrooms with new beds, a lovely living area with a big screen TV, a big dining table for you and your co-travelers and a modern kitchen with all new appliances and a view. Step outside and be amazed at the size of the pool deck and the fun you’re about to have either splashing and playing, or sitting and relaxing in the pool. 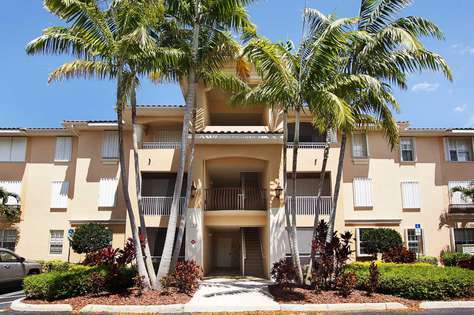 Sitting under a palm tree, with a cold drink while small water fountains give you peaceful background noise you will be happy you chose to vacation in Cape Coral and with Wischis Florida Home. If you are a boater you do have gulf access from this location and the possibility to dock your boat right behind the house. You can watch the fish jump, the birds fly overhead or simply listen to the sounds of the waves as you are catching some sun in your screened in lanai. The name says it all. It’s a happy vacation home with lots of sunshine surrounding it. 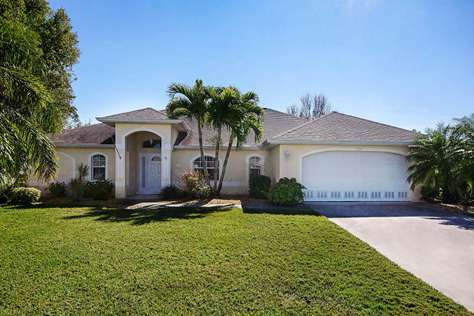 Located in a quiet, residential neighborhood in Cape Coral this home has enough rooms and space to make it perfect for a family vacation or to make unforgettable memories with friends. The canal behind the vacation house is home to many turtles and different birds do fly-bys on a regular basis. Fully furnished and equipped all you need to bring is your bathing suit, shorts, t-shirt and flip flops. 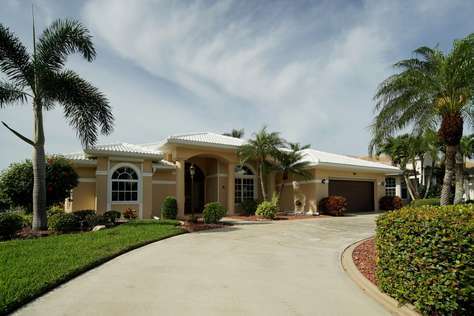 The location of the vacation home is convenient to everything Cape Coral and surrounding areas have to offer. Shopping, dining, dancing and of course beaches, shelling, sunbathing and boating. 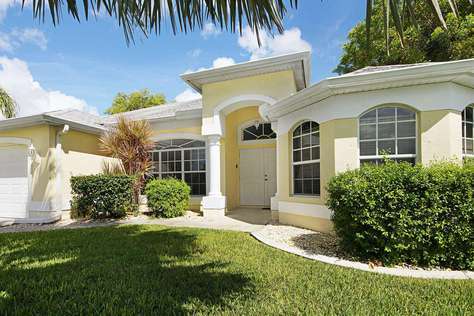 Centrally located in Cape Coral the Palm View is a lovely vacation home in a quiet neighborhood. Within minutes you can be at Tarpon Point Marina and enjoy an ice cold drink, a nice dinner or just a walk admiring the boats that are docked there. The house itself offers plenty of outdoor space for you to enjoy relaxing with a good book while sunbathing, cooling off in the pool, grilling a nice dinner and simply enjoying the moment. Should it get to hot outside you can move to the pleasantly air-conditioned living room to watch some TV or you can try out some new recipes in the fully stocked kitchen overlooking the pool area. 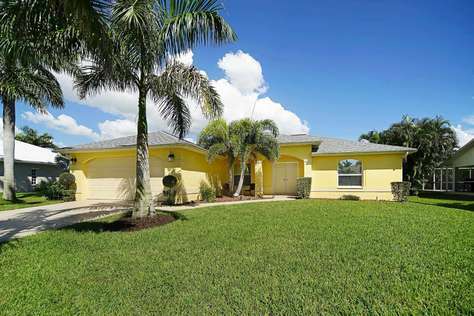 Located in the Rose Garden area of Cape Coral this home has much to offer. You are able to reach the lovely Tarpon Point Marina with all its quaint little shops, restaurants and live music by foot in just a few short minutes. Or you can take a walk through the nearby Rotary Park and enjoy some quiet time. By car you’re just a few minutes away from shopping and the bridges leading you to Fort Myers and the activities the surrounding areas have to offer. Back at the home lovely landscaping makes the pool area like a private oasis where you can fully enjoy a large size pool, a spa and an outdoor kitchen. And of course not to forget the available lounge chairs for lounging in the sun and getting a beautiful tan. Inside the home offers you plenty of space to watch TV, take a nap, make a drink, read a book, email your friends, post picture of your awesome vacation home and Florida’s wildly beautiful sunsets. Three large bedrooms offer two king size beds and one bedroom with two twin size beds. The guestrooms share a large bathroom that can be reached through either bedroom and the master bedroom’s en suite bathroom has a roomy walk in shower, double sinks as well as a bathtub. The open living and dining room concept offers an entire wall of sliding doors and windows for an unobstructed view of the oversized pool area as well the pool and the canal behind it, as well as easy access to all of those wonderful things. Outdoor living can be completely enjoyed at this great home. Located in a quiet neighborhood with friendly neighbors, you can either sit up front and enjoy the comings and goings of the neighborhood or lounge in the back by your screened in pool, outdoor kitchen with grill and refrigerator, or your very private, new boat dock and captains walk. The choices of where to go and what to do are truly endless and one vacation will not be enough to explore all the adventures Cape Coral and the surrounding areas such as Fort Myers, Fort Myers Beach, Sanibel & Captiva Island, the Everglades and of course Miami & Orlando have to offer. So you will have to come back and the Key West Sunset will become a wonderful home away from home for you. 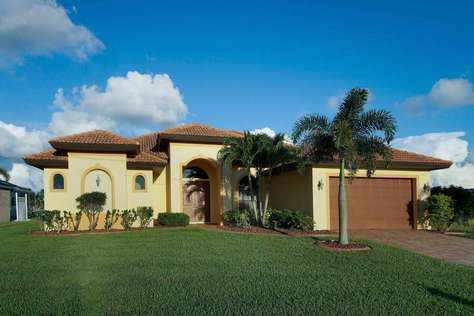 Book now your vacation home in Cape Coral. 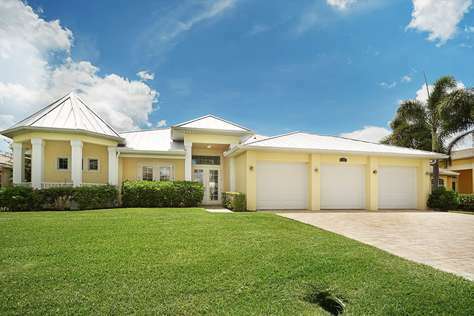 The vacation home "Sea Shell" is centrally located in the gated community “Spanish Wells” in Bonita Springs between Fort Myers and Naples. Thanks to its great location, you can enjoy beautiful lake views on your private patio with pool. Fishing and outdoor activities are popular in Bonita Springs, as are the sparkling beaches. The 2.5-mile beach is lined with natural vegetation and is perfect for beachcombing and birding. 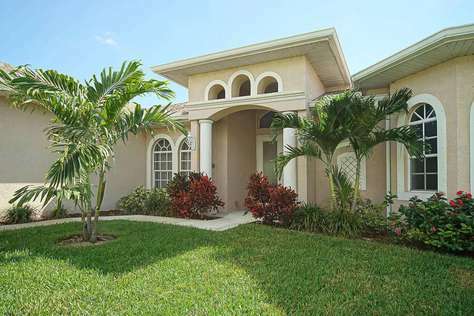 The Sea Shell is also only a short drive from Naples and Fort Myers Beach. The vacation home is located near the end of a quiet street, nestled in a peaceful neighborhood the "Sunshine Island" gives you the tranquility you are searching for during your vacation. Cozy and comfortable it has everything one might need, all linens, dishes big and small appliances are provided for your convenience. 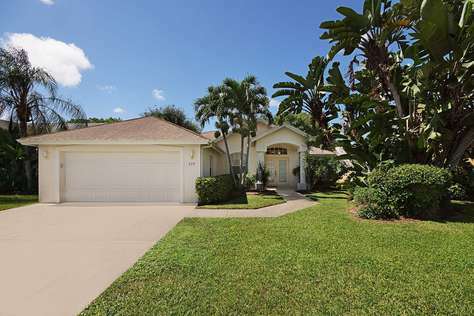 A garage that offers shade for your car and a lanai with a lovely pool that offers both sun and shade for you during those hot Florida days. Within walking distance to the always popular Cape Harbour Marina, with its different eclectic shops, live music events, and lots of spectacular boats to look at this place has been a favorite of tourists and locals alike for many years now. Hop in the car and drive to one of the many beautiful beaches Southwest Florida has to offer, or go shop in one of the many outlet and regular malls in the area. Daytrip to the Everglades, Miami, Tampa and Orlando are very possible when you stay at the Sunshine Island. 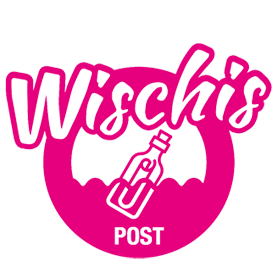 In the Wischis Florida Home - Palm Island the word is: feel good and relax - you're on vacation. 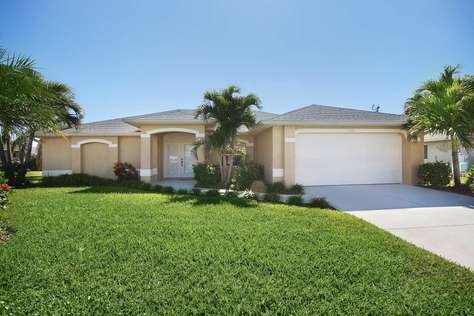 The vacation house is a spacious home centrally located in Cape Coral. The patio with a comfortable seating area and breakfast table offers plenty of space to enjoy your vacation. the heated pool invite for a swim even during the winter season. At about 2233 sqft. you will find 4 bedrooms, 2 baths and a cozy living area. The living room is spacious and like the whole vacation house furnished with style. It is equipped with a large flat-screen TV and DVD player. Of course, you have free internet access. In all 4 tastefully decorated bedrooms, as well as in the 2 bathrooms, you will find plenty of linens and towels. The kitchen is fully equipped. Whether at the breakfast bar or on the terrace, the Palm Island offers many beautiful areas for breakfast, lunch or dinner. 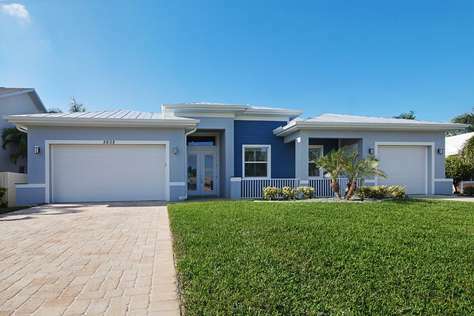 The Sunny Island is centrally located in Cape Coral close to the beautiful beaches of Sanibel Island and Fort Myers Beach and is also within a few minutes driving distance of shopping opportunities as well as the Cape Coral bridge towards Fort Myers for countless activities. The home is newly painted, furnished and decorated and offers everything you could wish for for a perfect vacation. Enjoy the heated pool while watching the stunning sunset. 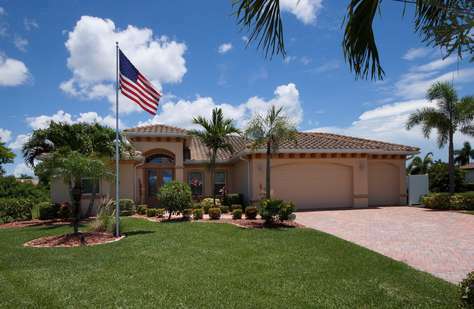 The "Golden Summer" vacation home is located on a corner property on a canal, with water on two sides of the vacation house in Cape Coral. The vacation home has a large outside area with heated pool and a boats dock. 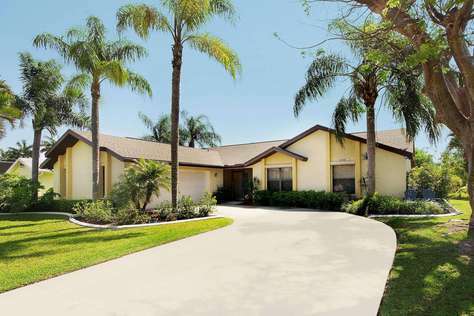 The Golden Summer is only a short drive from the beaches of Sanibel Island and Fort Myers Beach and is also within a few minutes driving distance of shopping opportunities as well as the Cape Coral bridge towards Fort Myers for countless activities. Boating is part of a Florida Vacation, just like the beach and shopping, and since the Golden Summer is on a canal and has a boat dock, you can even rent a boat. 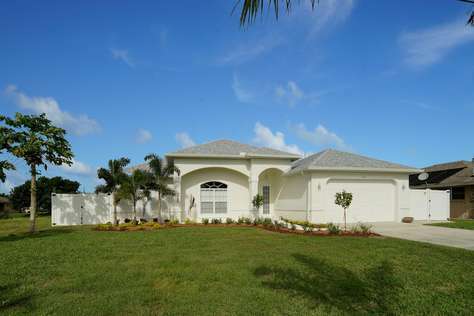 The Ocean Breeze is a newly built and furnished, luxurious, and very spacious home centrally located in Cape Coral. 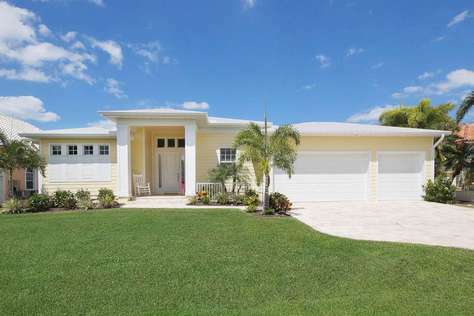 The vacation home is only a short drive from the beaches of Sanibel Island and Fort Myers Beach and is also within a few minutes driving distance of shopping opportunities as well as the Cape Coral bridge towards Fort Myers for countless activities. The large patio with pool, and beautiful view over the broad canal provides plenty of space for fun in the Florida sun and will leave no wish unanswered. 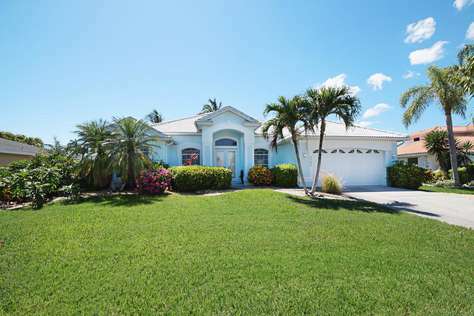 The Treasure Island is centrally located on a private, quiet corner lot in Cape Coral. The home is newly furnished and has a brand new kitchen. In addition to that, the outdoor area with heated pool and spa was extended to provide more room for fun in the Florida sun. 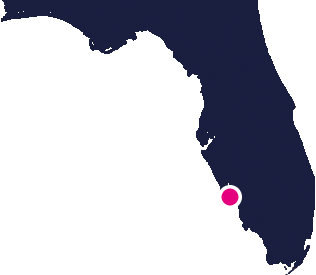 The Treasure Island is only a short drive from the beaches of Sanibel Island and Fort Myers Beach and is also within a few minutes driving distance of shopping opportunities as well as the Cape Coral bridge towards Fort Myers for countless activities. 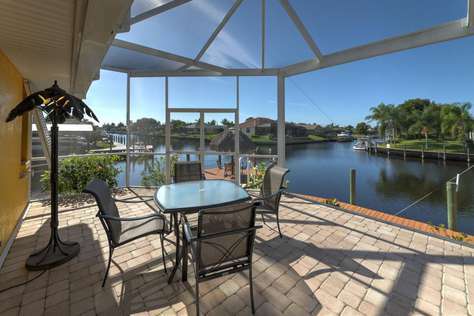 The Orange Bay is located on a corner property on the canal in Cape Coral, with water on two sides of the house. 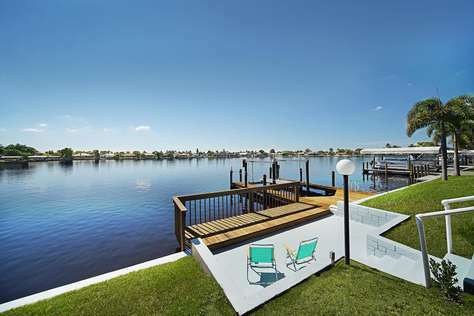 The home has a large outside area with heated pool and Tiki Hut on the boat dock. 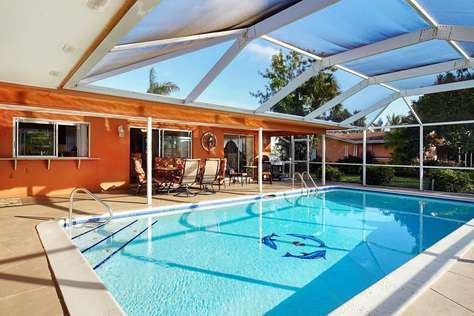 The Orange Bay is only a short drive from the beaches of Sanibel Island and Fort Myers Beach. Boating is part of a Florida vacation, just like the beach and shopping, and since the Orange Bay is on the canal and has a boat dock, you can even rent a boat. Find more information about boat rentals under the “Boats” tab.